Dennis Weaver and Diana Muldaur in McCloud. 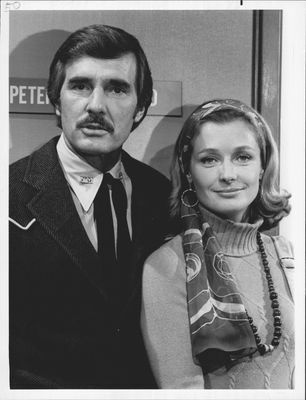 McCloud was a crime series, with Dennis Weaver in the title role. The show aired on NBC from 1970 to 1977. 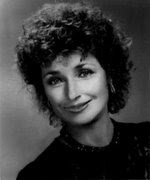 In the pilot, Sam McCloud fell for newspaper writer Chris Coughlin, played by Diana Muldaur. Chris remained as Sam's recurring love interest throughout the show, although she wasn't the only one to fall for his charm. McCloud had more women than he knew what to do with, but somehow he always returned to Chris. Diana was asked to be in every episode of McCloud, but turned down the offer. She wanted the freedom to accept or reject whatever job offer she got. Avid Diana fans know that she always asks to be listed as a guest star in longer TV shows (L.A. Law, Star Trek: The Next Generation, A Year in the Life) - no matter how many episodes she's in. In McCloud she did fifteen episodes all together. 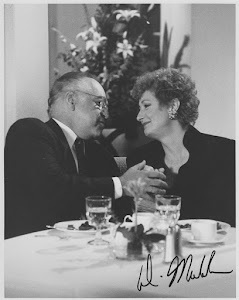 In 1989, Diana Muldaur and Dennis Weaver reprised their roles in a made-for-TV movie called The Return of Sam McCloud. 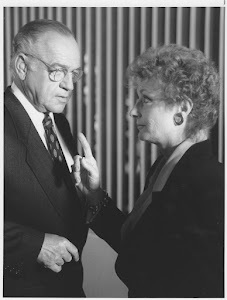 In that movie, the viewers learned that Sam was now a United States Senator (! ), and that he and Chris hadn't been on speaking terms for several years. They did however reunite in the end of the movie. Diana has praised her role in McCloud for being a modern woman who didn't have to get married and raise a family. Chris had her own career and her own identity. Diana has often pointed out what a big deal that was in the early seventies.